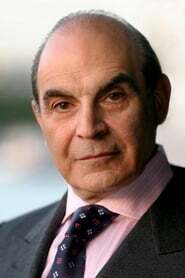 From Wikipedia, the free encyclopedia David Suchet, OBE, CBE, (play /ˈsuːʃeɪ/ soo-shay; born 2 May 1946) is an English actor, known for his work on British television. He is recognised for his RTS- and BPG award-winning performance as Augustus Melmotte in the 2001 British TV mini-drama The Way We Live Now, alongside Matthew Macfadyen and Paloma Baeza, and a 1991 British Academy Television Award (BAFTA) nomination. He is known for his role as Agatha Christie's great detective Hercule Poirot in the long-running British TV dramatic series Poirot. Suchet's older brother, John Suchet, is a British television presenter and newsreader, and his father was gynaecologist Jack Suchet. Description above from the Wikipedia article David Suchet, licensed under CC-BY-SA, full list of contributors on Wikipedia.